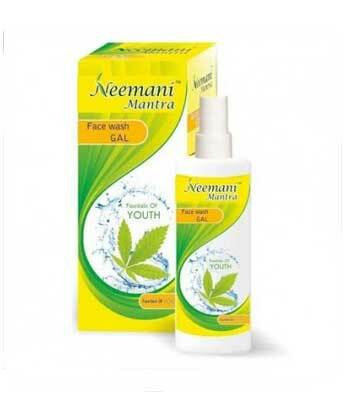 Neemani mantra Face Wash is made of the Neem leaf extracts, which is traditionally known for its medicinal properties. It gently removes all signs of dirt and oiliness to give you a clean and rejuvenating look. The antibacterial properties of the Neem extracts are known to make the skin free from pollutants and prevent the growth of blackheads and acne. With no trace of impurities, your skin looks spotless, glowing, and squeaky clean. With regular usage of the INLIFE Neem Face Wash, you get fewer pimples and the skin turns glowing and soft. Apply a small quantity of Inlife Neem face wash and gently massage with your finger tips and circular motion and work out lather,Rinse of with water and pat dry use twice daily for best results. Store in cool and dry place. Natural product. No harmful chemicals. Ayurvedic Product.